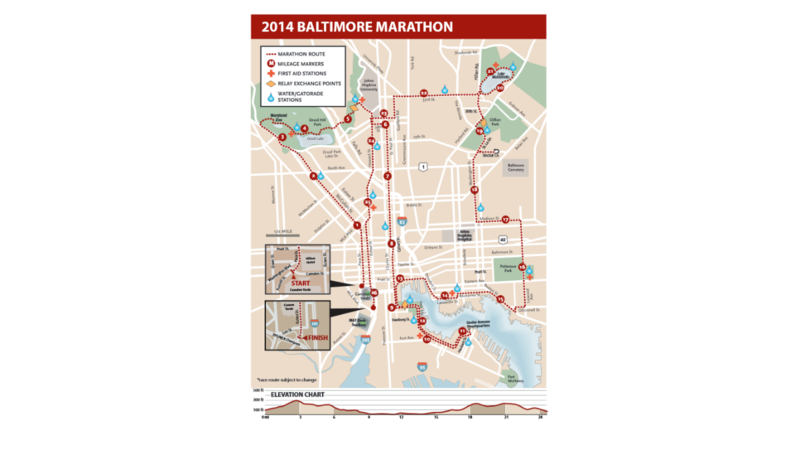 Tomorrow is the Baltimore Marathon. This is not a drill. 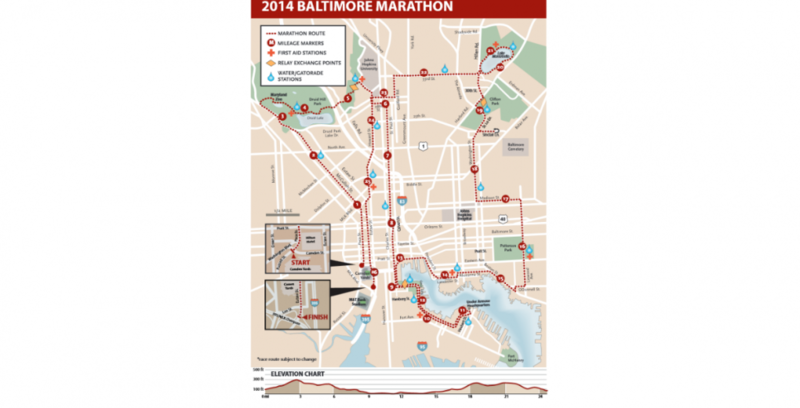 We repeat: tomorrow is the Baltimore Marathon. Every year there are thousands of people who either don’t know or forget the marathon’s date or route and end up spending an entire day in gridlocked traffic being angry and frustrated. If you’ve ever seen them, or been unlucky enough to be one of them, you know what we mean. If not, take our word for it: you cannot get around Baltimore by car tomorrow. Not even a short trip of a few blocks. Not even if your trip doesn’t involve crossing the route, which can be viewed in large detail here. If you live inside the route, for the love of God do not get into your car until at least late afternoon. If you live outside the route, you can probably drive further outside the route. We recommend leaving the city altogether. And if you do, here are five great ways to spend the day. Go pick some apples. 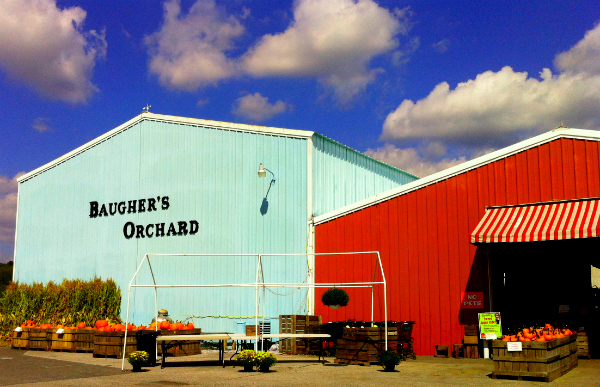 Baugher’s Farm is a little more than an hour away in Westminster and offers acres of apple picking as well as a whole barn full of seasonal foods. 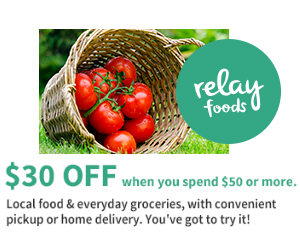 You can stock up to cook at home or visit their restaurant on Main Street. Baugher’s is one of the biggest and best spots of its variety but there are similar places spread through other parts of the region as well. Take a MARC train to DC. There’s no better day to take advantage of the Penn Line’s weekend service. If you can get to Penn Station or West Baltimore without using your car then scores of free museums and attractions are less than an hour away. Here is the Saturday schedule. Go look at leaves in Rocks State Park. If you’re like us you were kind of intrigued by Fields Festival but maybe didn’t want to spend a whole weekend camping with a bunch of hippies just to see bands you can see within walking distance of your house any other weekend. That would make tomorrow ideal to head up to Harford County and check out Kilgore Falls or climb to the top of the King and Queen Seat to look at fall foliage. Go to the Maryland Million. The Maryland Million is the state’s best day of horse racing. Period. It’s more fun than Black Eyed Susan Day, more fun than the State Fair and yes, it even beats the Preakness. It is the perfect mix of stakes races, money in the pools and a fun, intelligent crowd. This Fall has seen track closings in Massachusetts and Virginia. Unless we want to face the same fate in Maryland the racing industry needs to win over some newer, younger fans and the premiere event for showcasing Maryland bred horses is the best chance it’s got. Go to the United States Powerboat Show in Annapolis. Can’t afford to shell out thousands on a new boat? Screw it, go anyway. Put on your best nautical sweater and fake it till you make it. A day of messing about in boats is more fun than sitting in marathon traffic and the Annapolis show is one of the best because of the large number of boats displayed in the water, which makes them much more fun to look over than on the floor of the convention center. Have lunch some place and make a day of it. This entry was posted in Best Bets, SLIDER and tagged Annapolis boat show, Apple Picking, Baltimore, Baltimore marathon, Baltimore running festival, Baugher's Farm, Day Trips from baltimore, Fall Foliage, Hiking, Horse racing, Kilgore Falls, King and Queen Seat, Laurel Park, Leaves, MARC Train, Maryland, maryland Million Day, Rocks State Park, Route Map, Street Closures, United States Powerboat Show, Washington DC. Bookmark the permalink.